Welcome back to more Weekly Deals for your shopping pleasure! 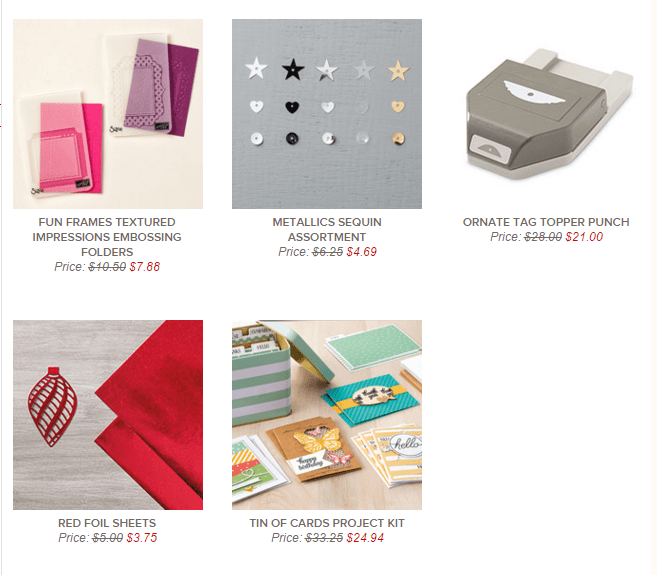 You get everything you need to make 16 cards – 4 each of 4 designs. 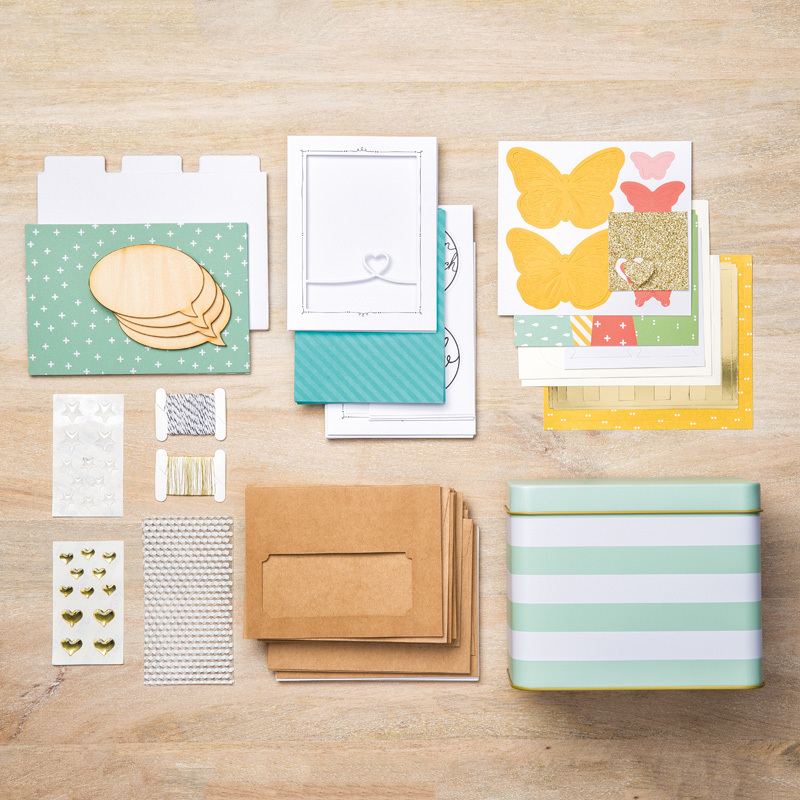 And I mean everything – embellishments, die cuts, sentiment labels, envelopes – and that a-dor-able tin to keep the cards in! Oh yeah – and you get the 9 file-tab dividers, too. You can either use stamp sets that you already own for completing the cards, or you can purchase the coordinating stamp set ‘Tin of Cards’ (pg. 110 Annual catalogue, #138946) for only $21 – it has 20 stamps to the set, which include 4 different sentiments plus 10 titles to use for the file tabs. I feel like I’ve just done an info-mercial, but seriously, I wouldn’t be gushing about this set if I didn’t truly love it. 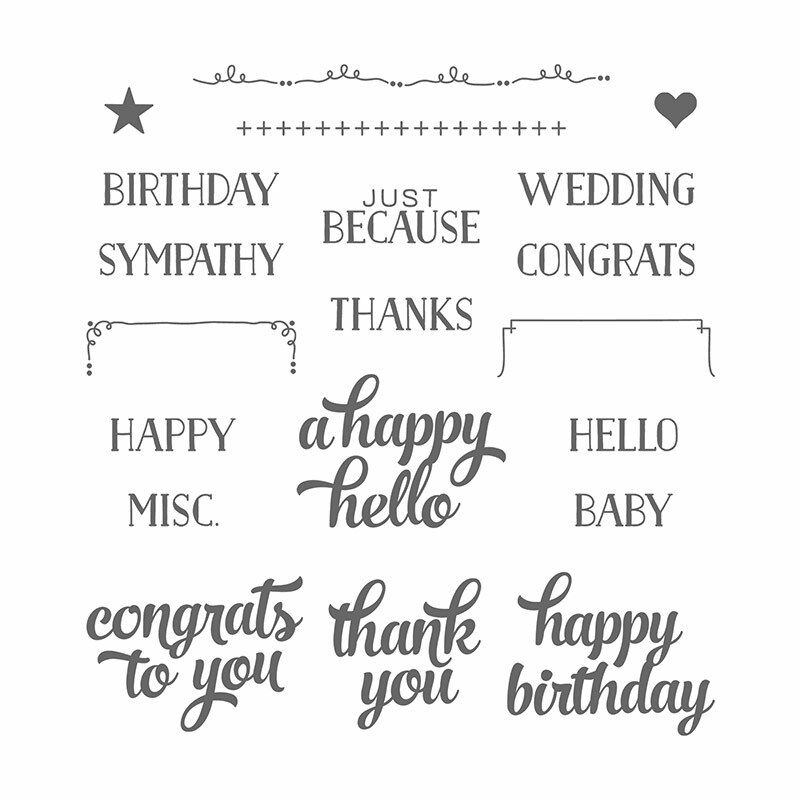 If you find that you don’t need it for yourself, it would make an awesome gift for someone who is starting out stamping, or doesn’t have a lot of their own supplies already. If you’d like to order any of the Weekly Deals, or anything else, just click on my signature below to go directly to my online store, or send me an email or give me a phone call, and I’ll take care of the ordering for you. debsmart@shaw.ca 604.298.0472. Until next time – I hope you’ll join in the Watercooler Wednesday challenge – my first hosted sketch challenge! Previous Previous post: My First Hosted Sketch Challenge!